It was only in 2010 that 37 year old Girish Mathrubhootam founded Freshdesk Technologies with his friend Shan Krishnaswamy as co-founder. But in no time, the venture has attracted major venture capitalists in India. The reason being the product, Freshdesk, a cloud-based help desk software that allows organisations to support their customers through email, phone, website, Facebook and Twitter. Started in a small space at home, today, Freshdesk has moved to one of the swankiest spaces on the IT Highway in Chennai. 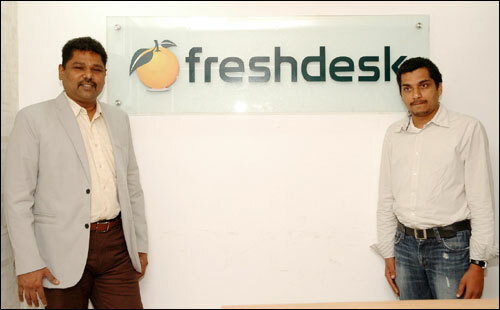 Freshdesk is one of the numerous start-up success stories India is witnessing ever since the economy opened. 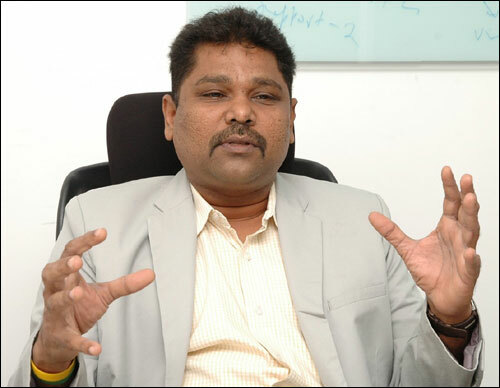 Mathrubhootam recounts the success story of Freshdesk. I became an entrepreneur soon after I finished my MBA in 1999. Though I had done my Engineering in Electronics, I felt the future was in IT, so I learnt all the tools and languages on my own. In a way, I became an entrepreneur because my friends wanted me to teach them Java. Fully funded by my students who were my friends, I started my first venture, Xpert Labs, a training institute. In fact, the institute 'walked' into my house. It all started initially when five of my friends paid me Rs 3,000 each and with that Rs 15,000, we rented out tables, computers etc. The number of students grew exponentially and at one point, I was making Rs 100,000 a month! And it was not even my full time work; I was teaching after my work. As the number of students grew, I resigned from my job and started teaching multiple batches. After sometime, I got bored with teaching and decided to go to the US to get some exposure. I parted with 50 per cent stake in my venture and went to the US. At that time, Xpert Labs was making Rs 200,000-300,00 a month. I worked in the US for a year and when I came back, Xpert Labs was about to be closed as it was not doing well. That was after the dot com bust and my efforts to revive it did not work. I decided to move from training to product development and got a job as a product manager with Zoho and that was where I met Shan Krishnaswamy, who joined a year later as the technical lead. I looked at my job as running a company, in the sense that the product was my company and I was responsible for it. It was like being an entrepreneur except that I was being paid a salary. I worked with Zoho with that mindset for 10 years as it gave its employees that kind of freedom. By 2009, I started feeling restless and bored. I read an article about Zendesk raising their prices and how their users were unhappy about it. The news woke up the entrepreneur in me as I saw a huge opportunity in that space. Zendesk at that time was earning a few million dollars in revenue. I knew that the massive transition to cloud was happening. We at Zoho were developing similar products but not delivered it as SaaS (Software as a Service on cloud). With the domain knowledge and the talent available in India, I knew we could develop a good product here. It was exciting to think about the idea itself and I started researching on all the companies in the space. 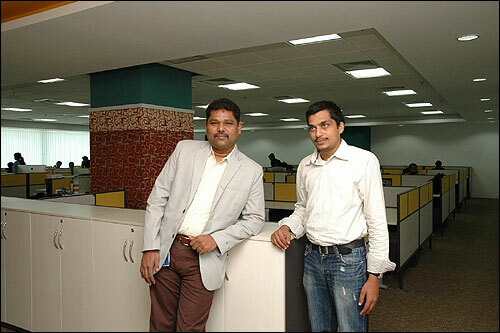 Image: Girish Mathrubootham and co-founder Shan Krishnasamy. When we started our first help desk product for Zoho, there were 600 help desks in the market. Yet we created a multi-million dollar product! I would say the customer support market is more like a restaurant business. What differentiates a dosa made in one restaurant from another? It is only a dosa, still people may like one over the other. Customer support traditionally is customers talking over phone and email and companies responding to it. But what we thought was about those people who talk about the company on social media. Also, engaging the community is also important today. So, we decided to go beyond traditional customer support and build a 360 degree customer service platform. Social support as a phenomenon has started one year back. And customer support is the new marketing tool. We saw many small and medium companies moving to cloud computing and chose to target them as they need not invest in infrastructure but could use our cloud based system. I needed a co-founder and asked Shan Krishnaswamy and he didn't think twice before saying yes. We complement each other very well; while I can take care of product management, he can take care of the technical aspects. In hindsight, I feel if he had said no, would Freshdesk have happened? I don't know. I zeroed in on some potential domain names and found that freshdesk.com was actually expiring in a couple of weeks. So I back-ordered it and waited. It was almost a month before the domain was officially transferred to me. It was October 2010. We started with Rs 60 lakh (Rs 6 million) with just the two of us. By February, we hired four developers and moved to a rented place. Dreams were big. We wanted to sell our product to the world. It took us 9 months to launch the product in public. Though the product was not ready, we posted a blog on the Freshdesk story. The blog was picked up by Hackernews, a community of geeks and that made many people get attracted to the story. In two days, close to 30,000 people visited our site and 175 people signed up for the product. On March 24, we released the beta version to all those who signed in. We were happy with the response and by May, we were ready with the public beta. We got our first customer two days after our launch. He was from Australia. In no time, we started getting enquiries from all over the world. We have three plans - sprout, blossom and garden. The price is based on the customer supporting agents; that is $9, $19 and $29 per agent per month. For example, if you choose the $9 plan, and you have 5 customers, you pay $45. Hackernews writing about us made us visible to venture capitalists all over the world. Angel List also brought us some interest among the VCs. By May, we were talking to some investors. 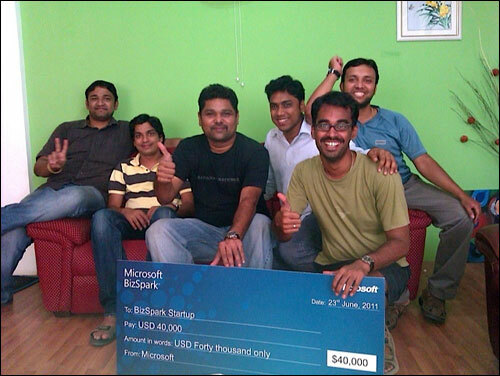 In June, 2011, we won the Microsoft Biz Spark India Start up challenge in the Cloud category and the prize money was US$ 40,000. There were VCs among the judges. We were the finalists at another event called Unplugged in Bangalore. All these events brought significant interest among investors in Freshdesk. I would say, all budding entrepreneurs who are looking for funding should attend these events because it gives them the visibility among investors. Once you have enough funds, don't waste time on these events; start working. After Accel Partners invested $1 million in Freshdesk in December 2010, Tiger Global Management invested another $4 million within a month. We then expanded our team and also moved to a good office. We have 45 people working right now with 1200 customers from 60 countries. US is the major market followed by Europe and the UK. Other than customers in Mexico, New Zealand, Canada, Australia, etc, we also have Indian companies as our customers. In the next one year, we want to expand to more countries. We would like to have 5000 customers by the middle of next year. We are going to change customer support as a fun filled experience and not a boring, frustrated activity. Our target will continue to be small and medium companies for quite some time. Yes, our dream is to make Freshdesk a world class product company.